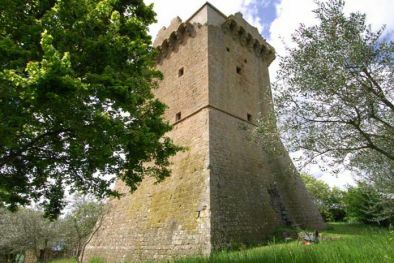 HOME PAGE > CASTLES FOR SALE > Ref. 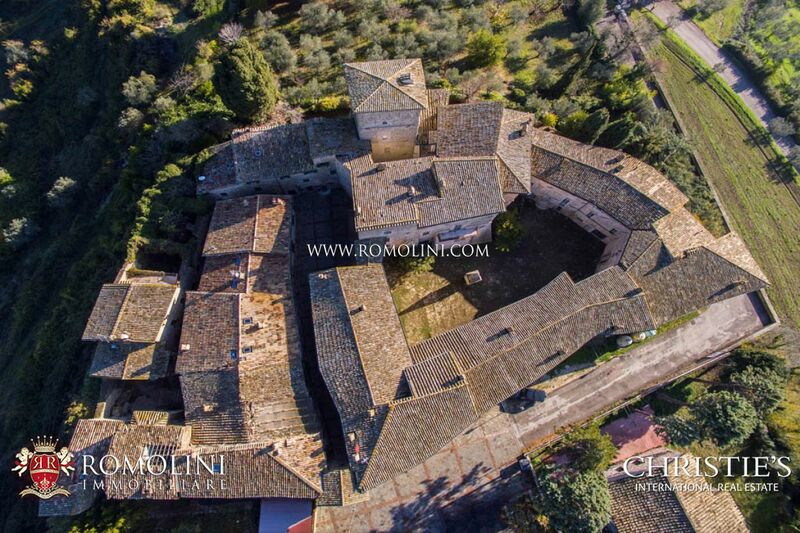 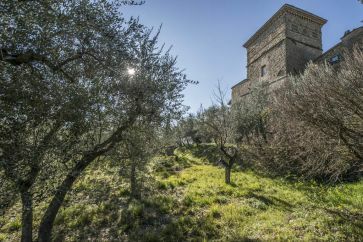 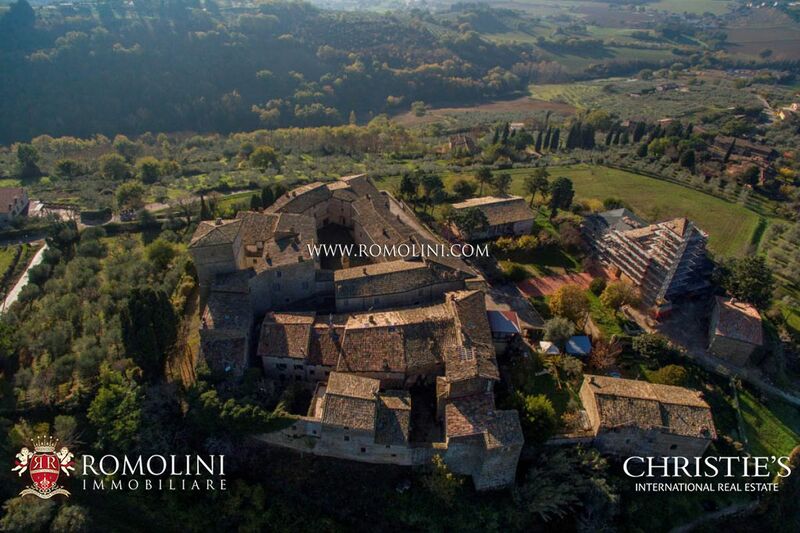 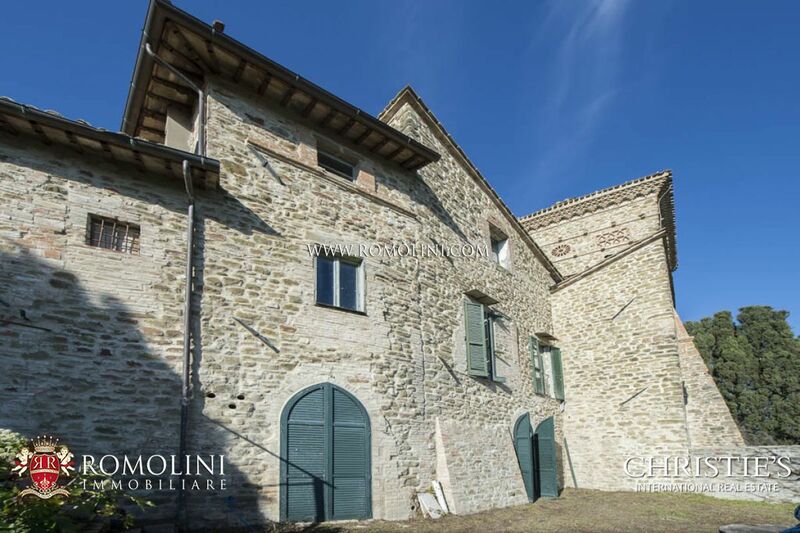 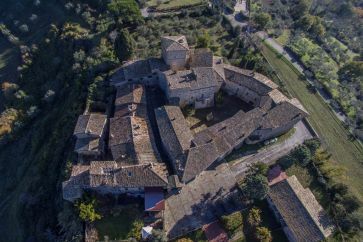 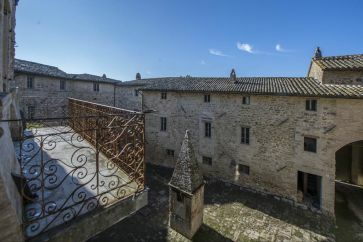 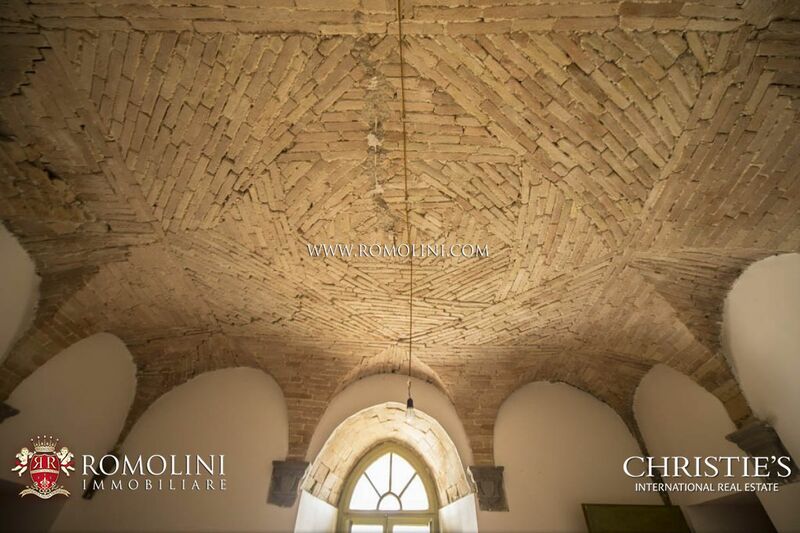 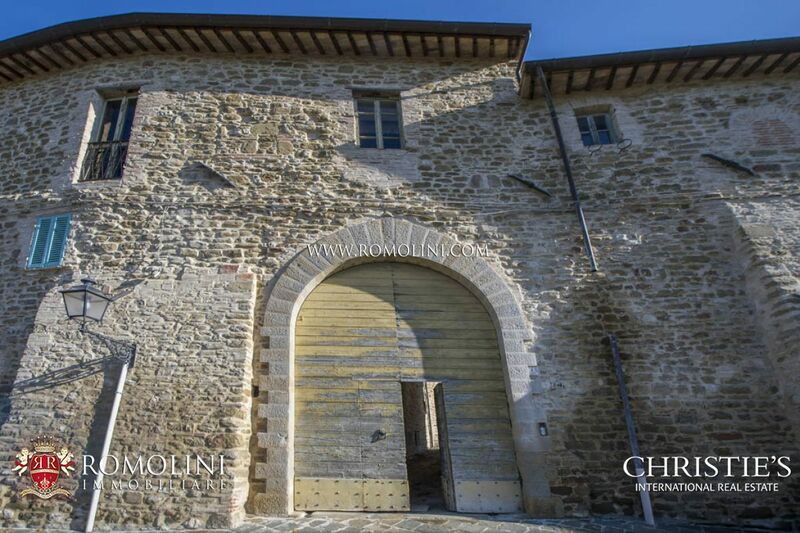 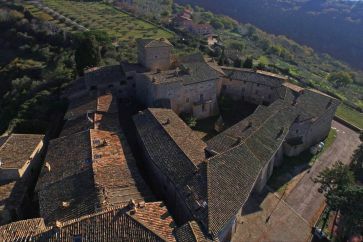 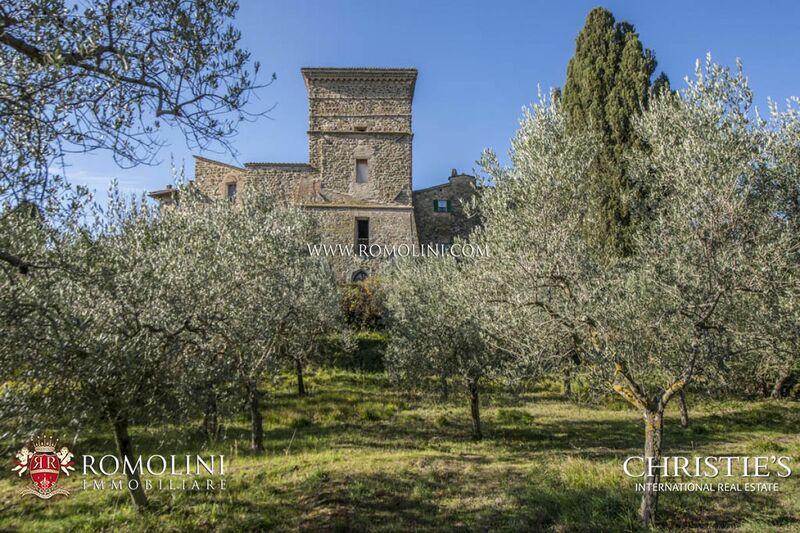 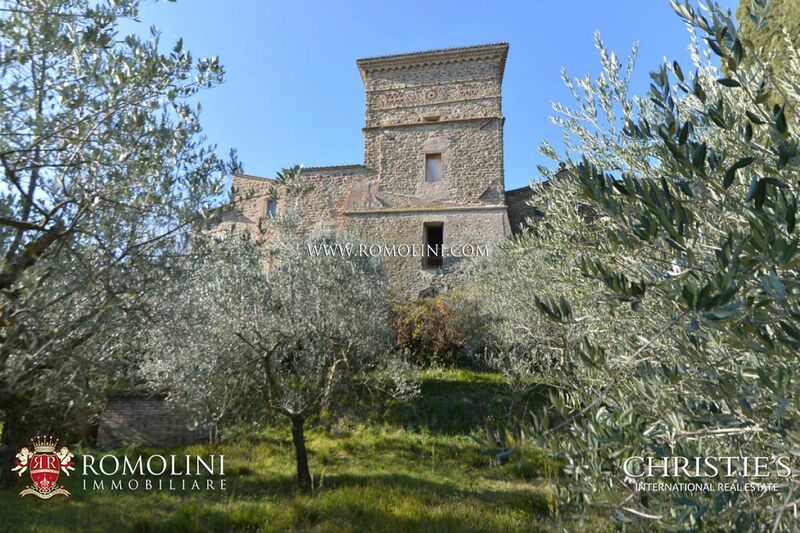 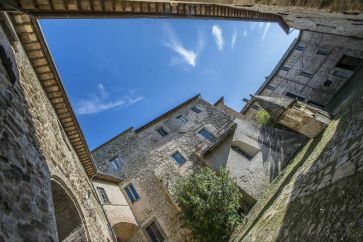 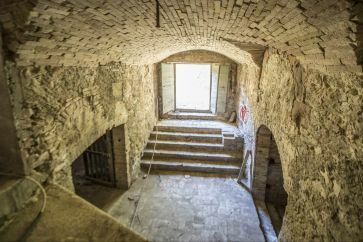 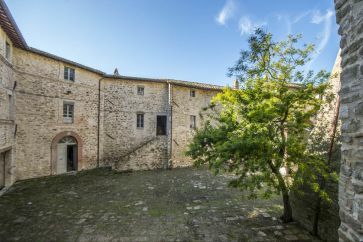 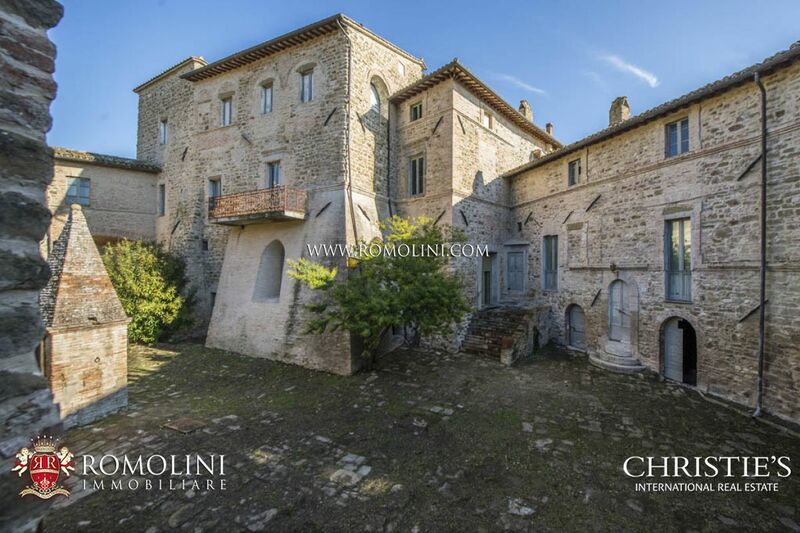 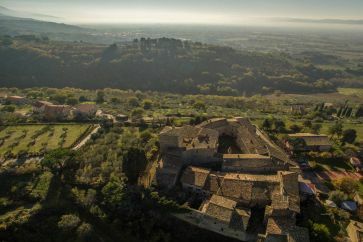 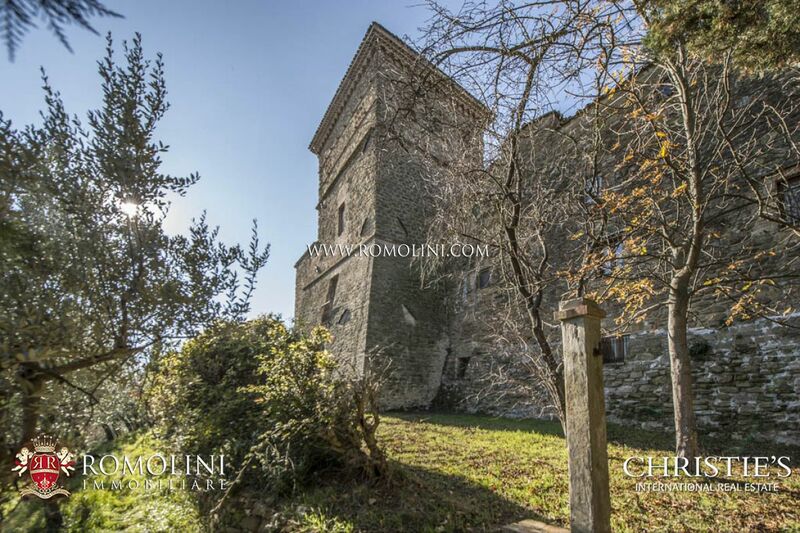 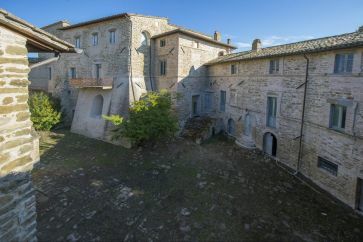 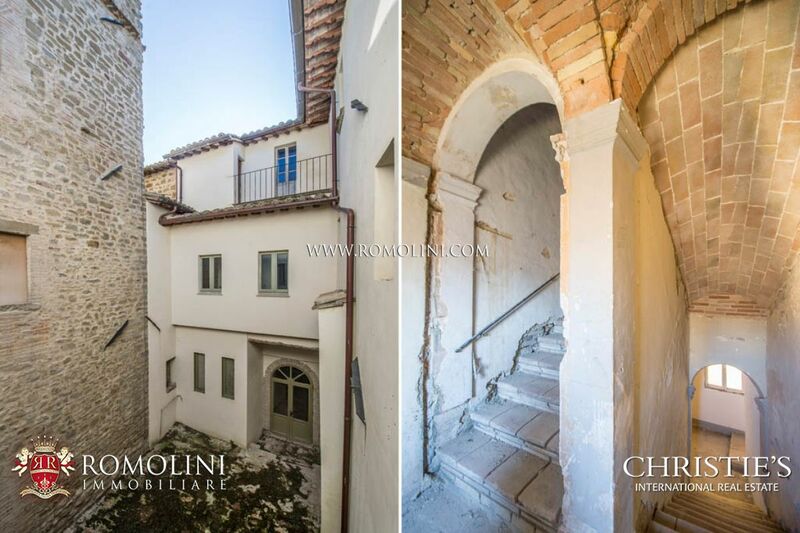 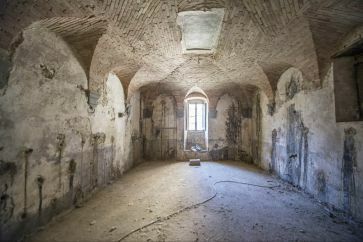 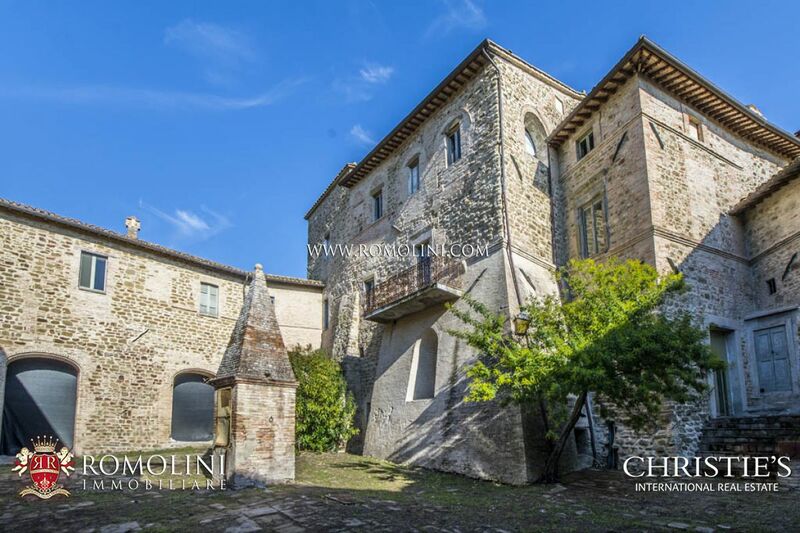 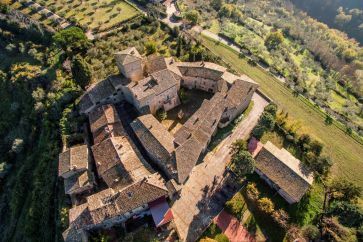 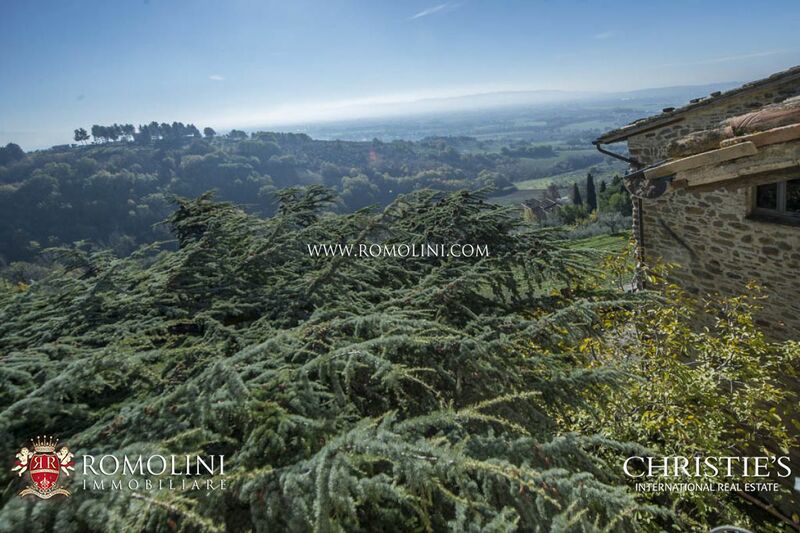 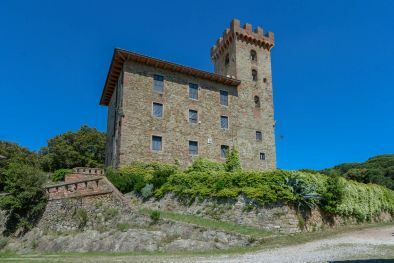 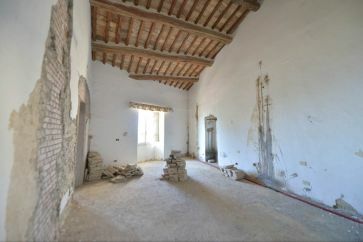 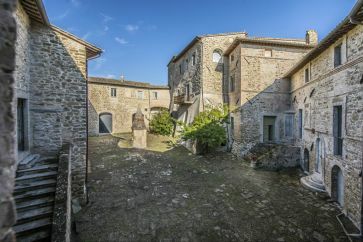 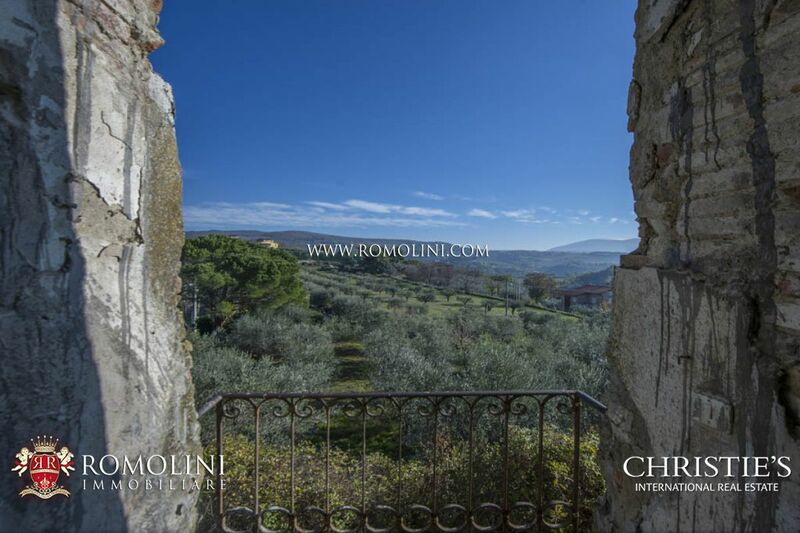 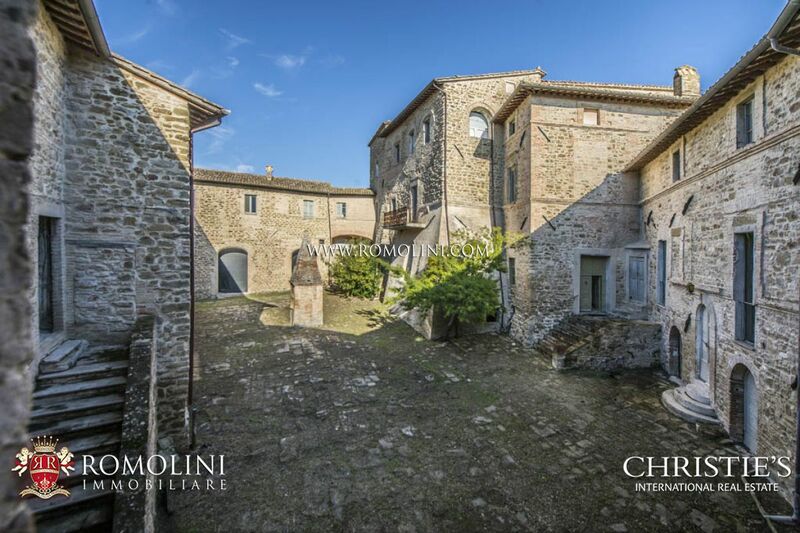 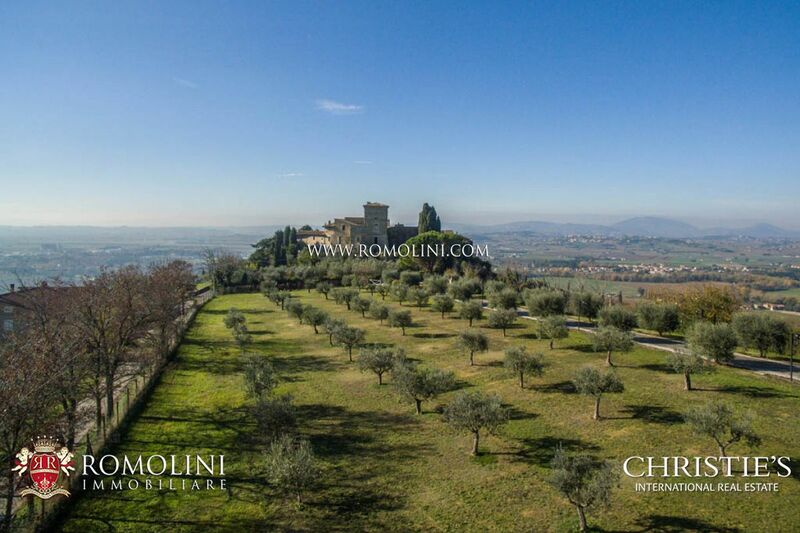 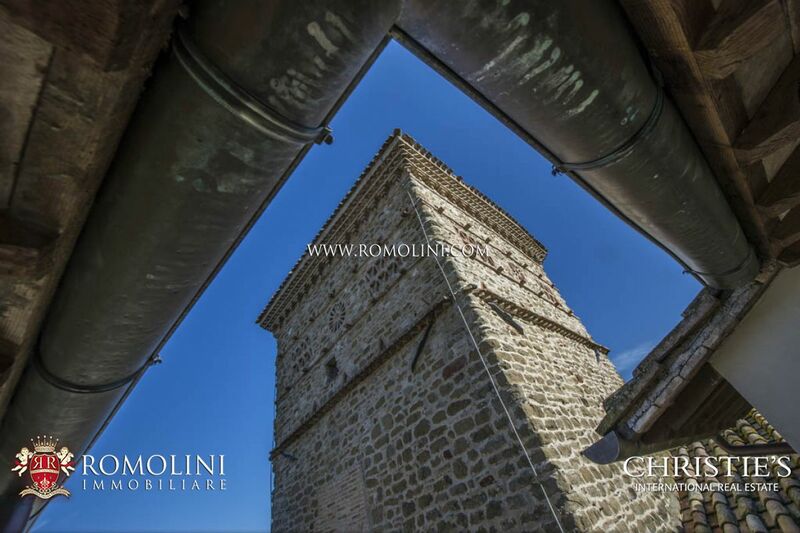 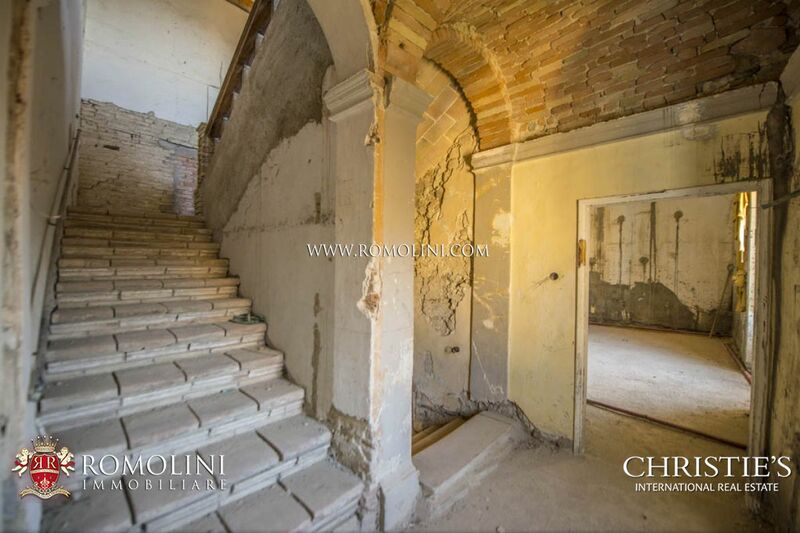 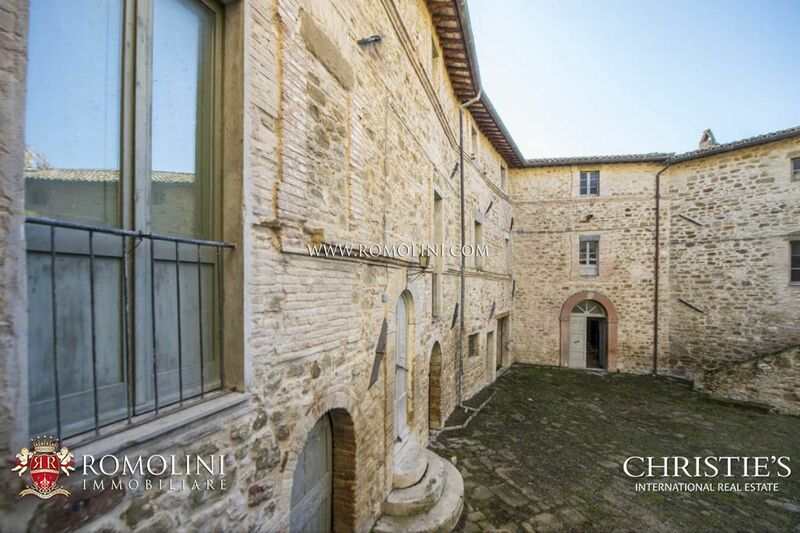 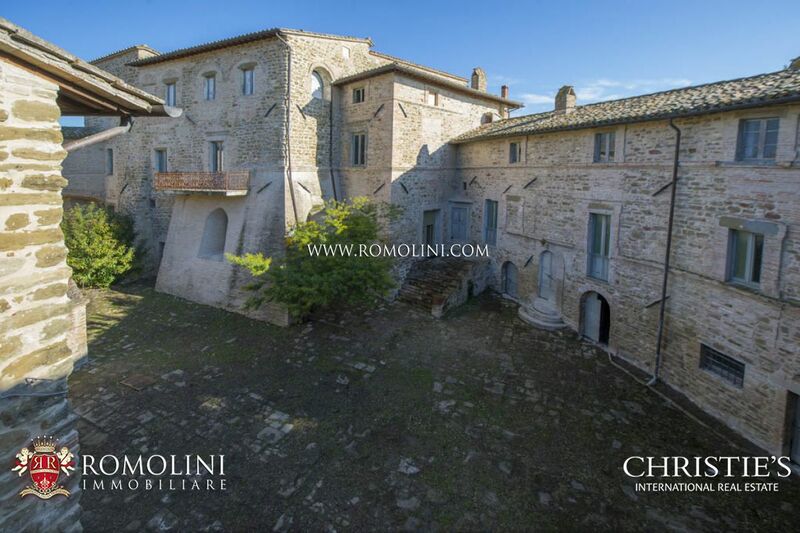 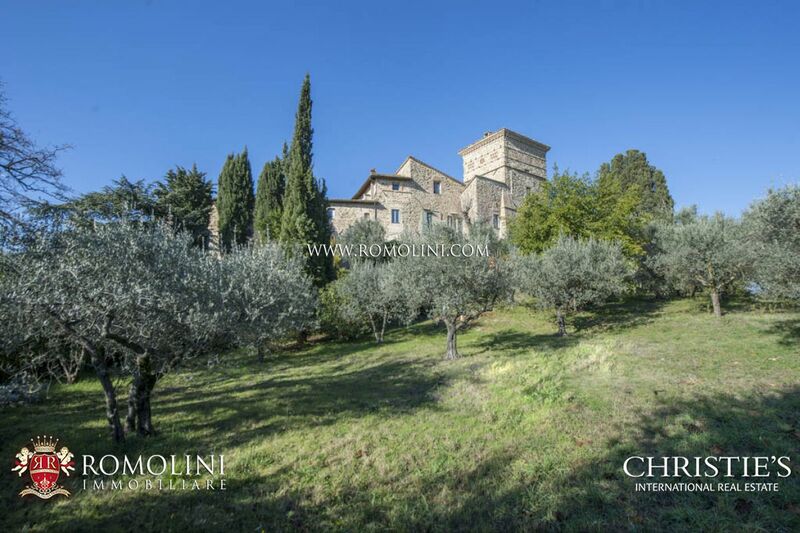 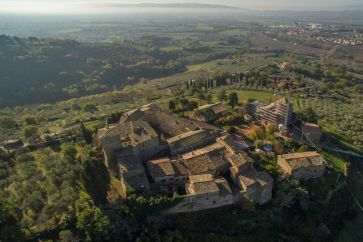 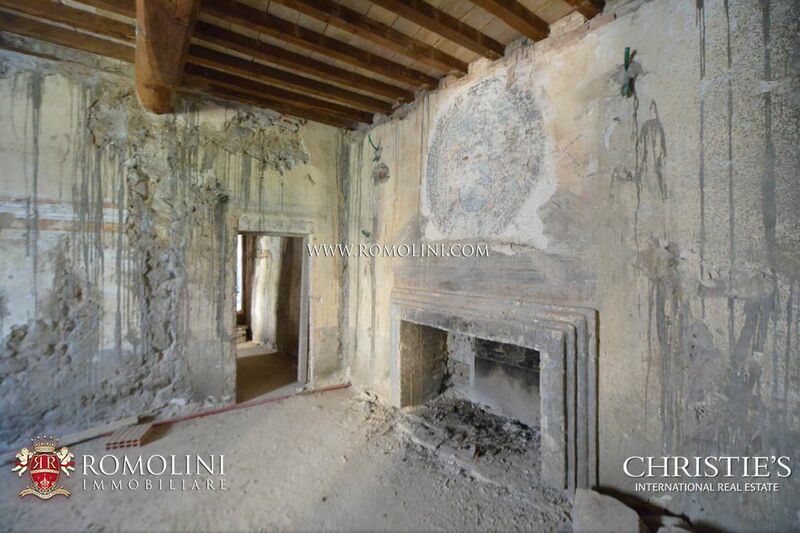 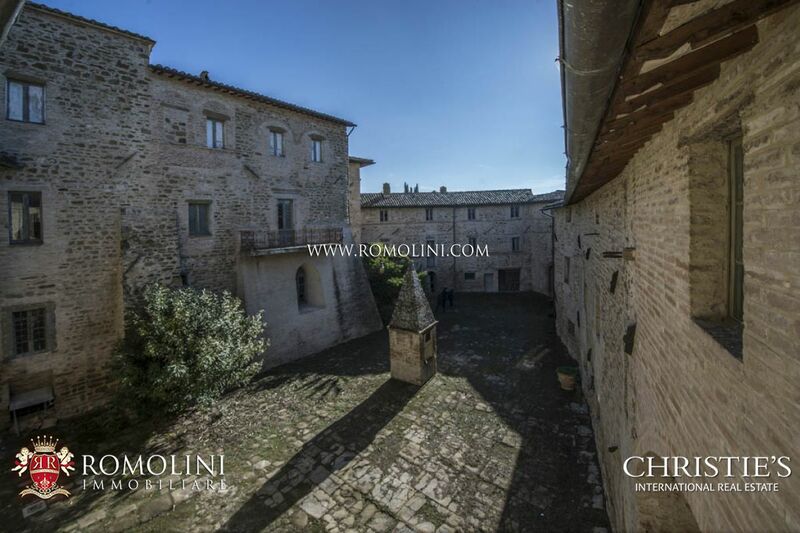 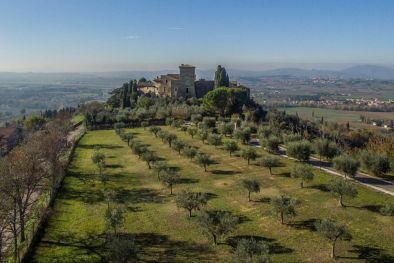 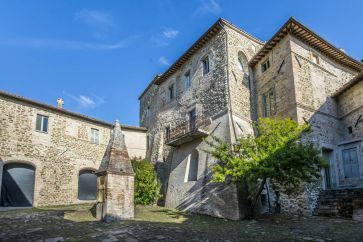 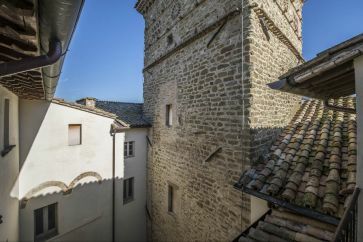 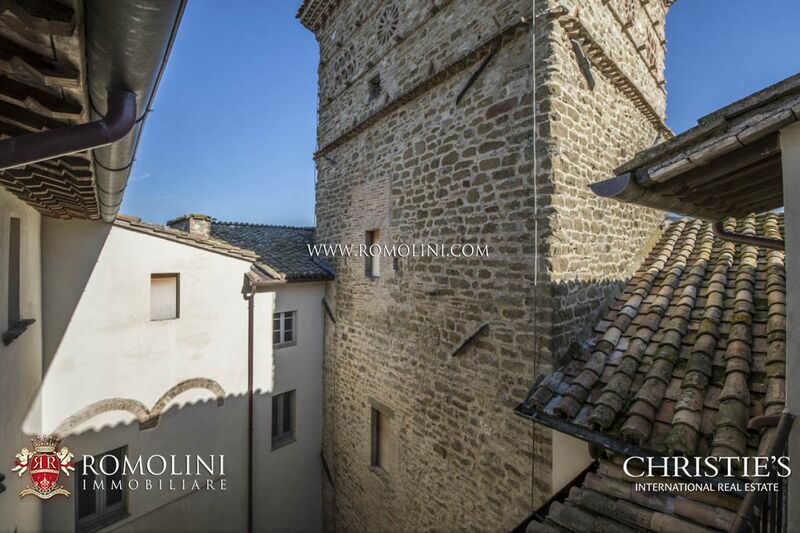 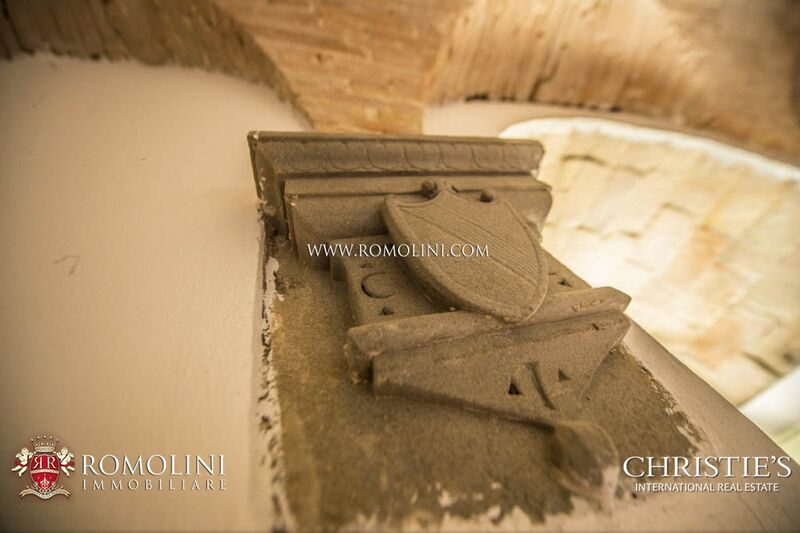 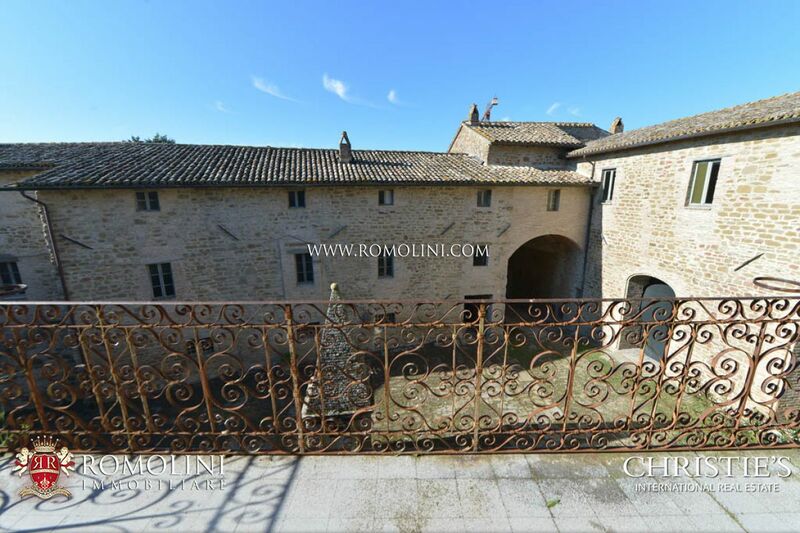 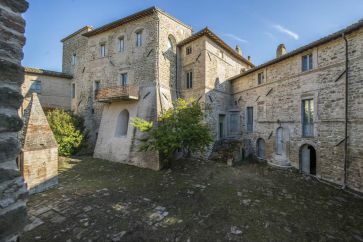 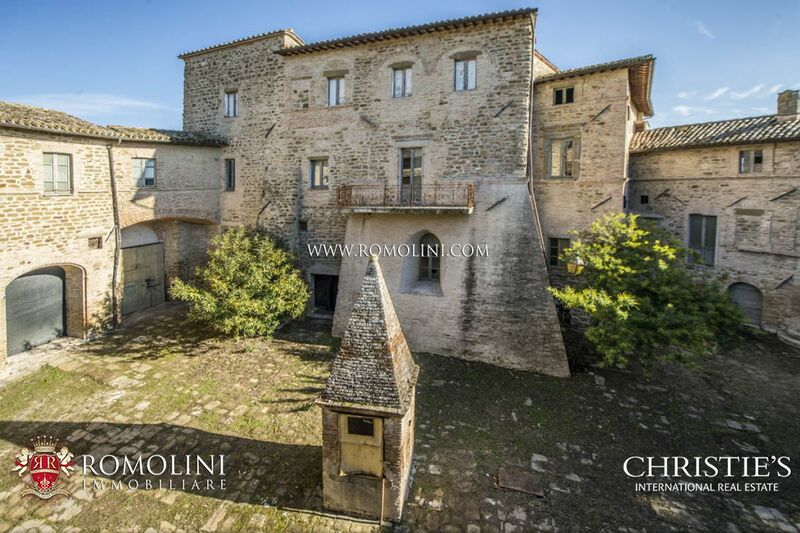 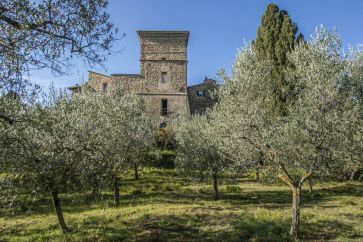 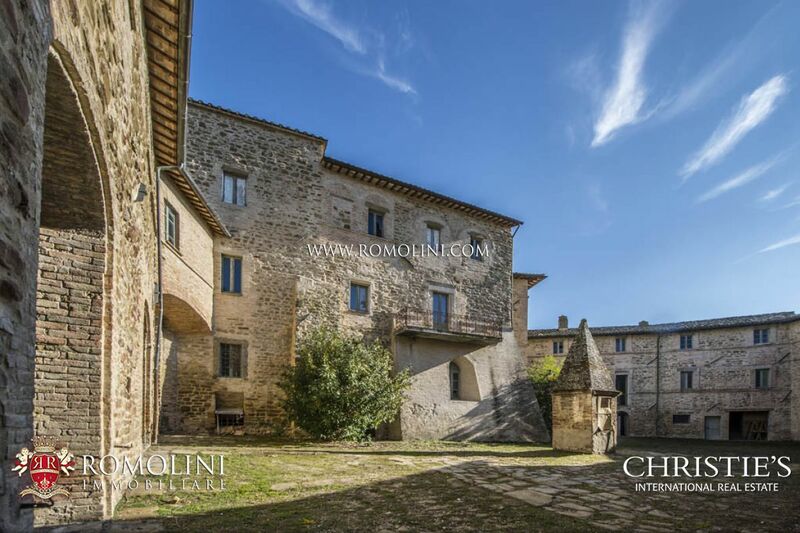 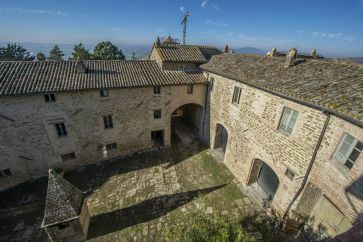 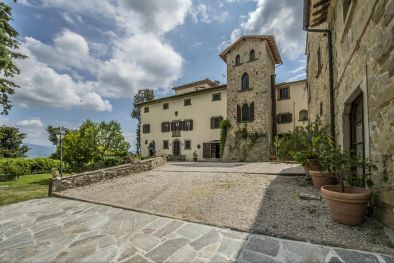 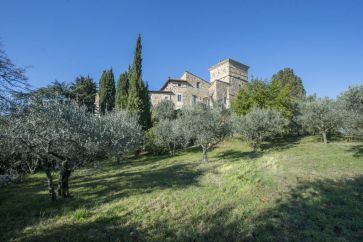 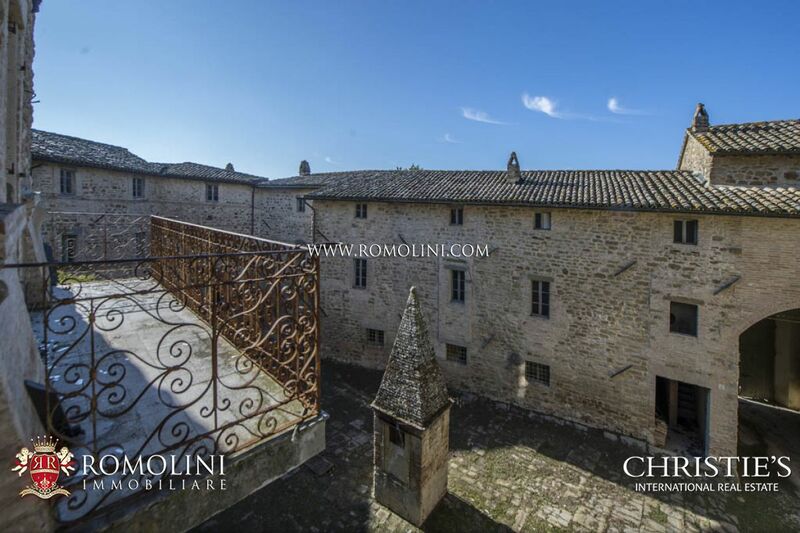 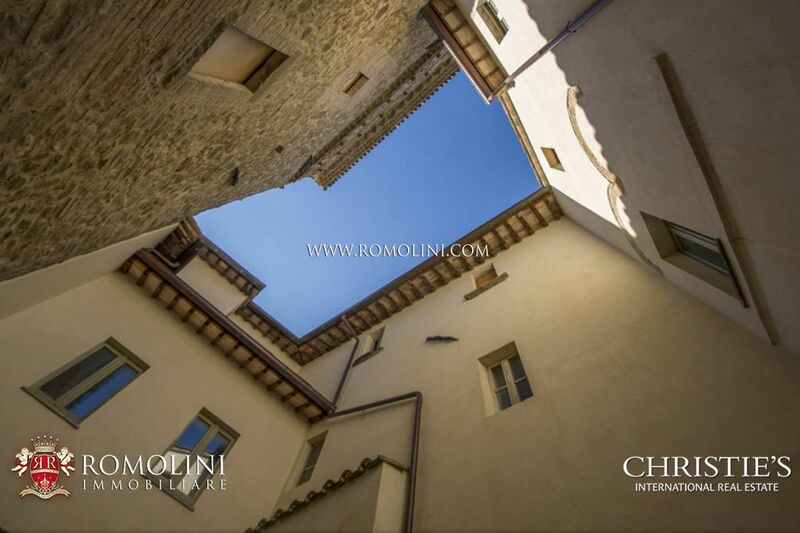 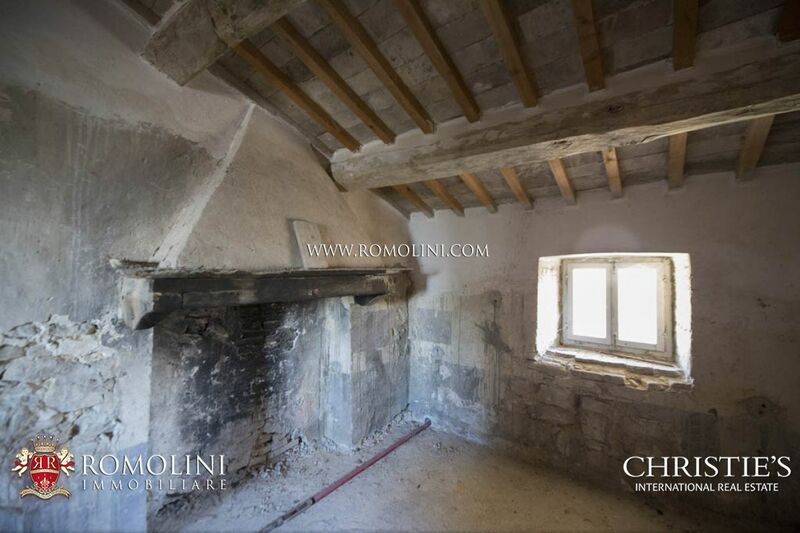 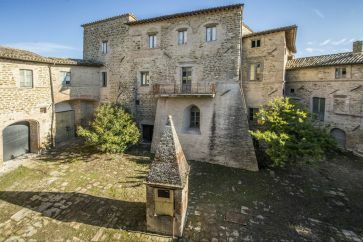 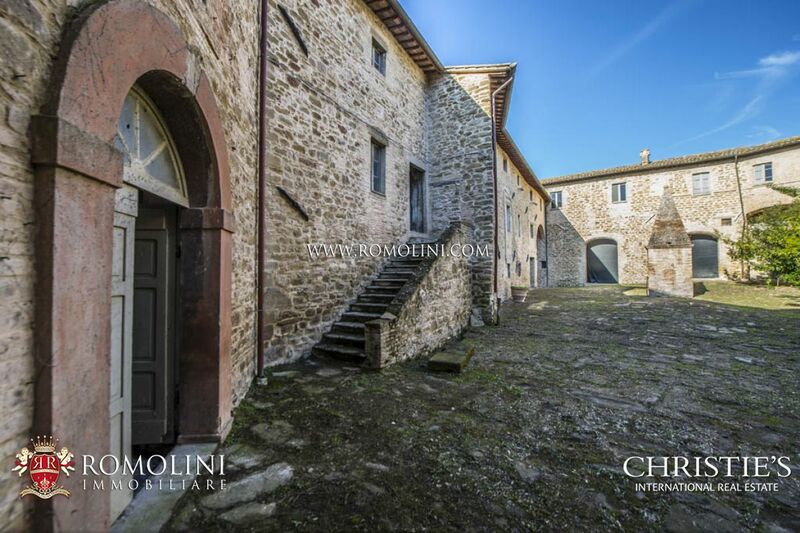 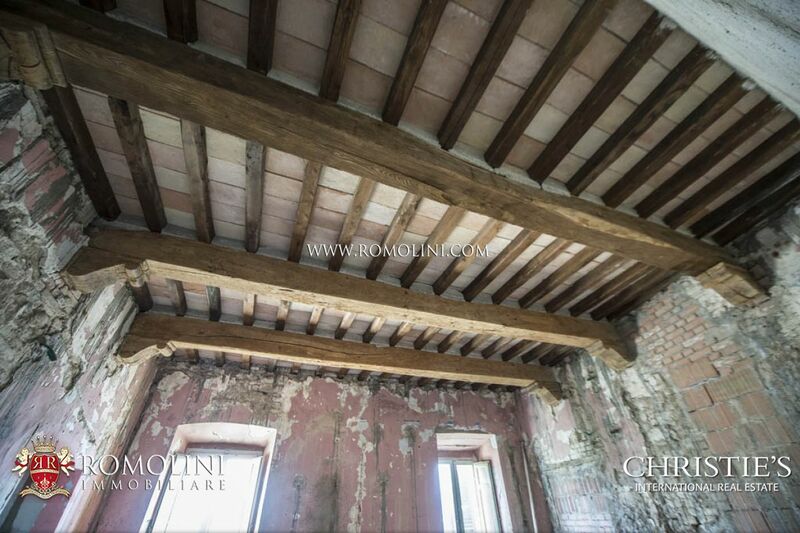 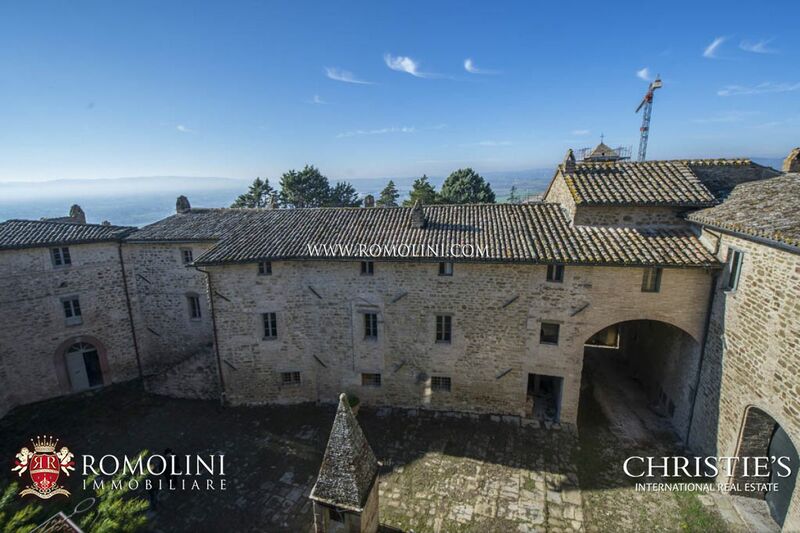 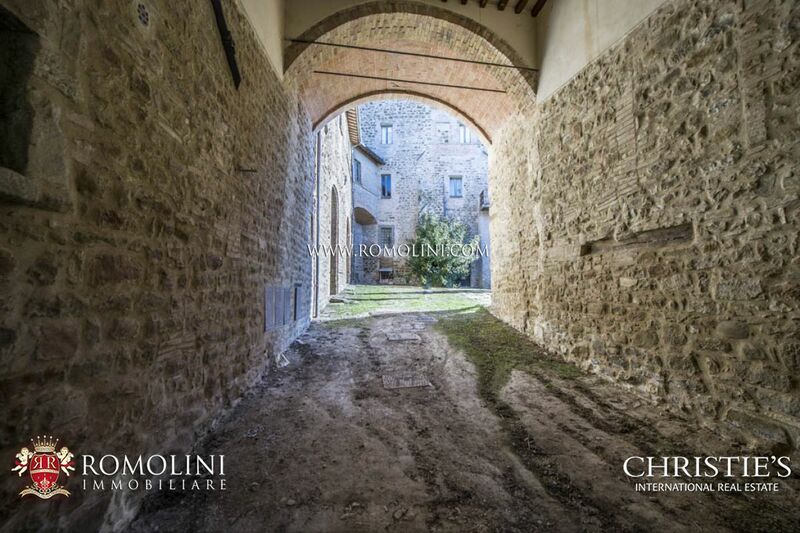 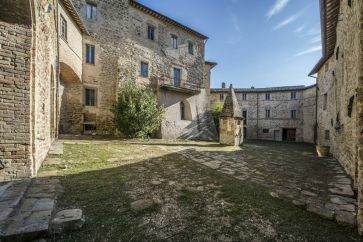 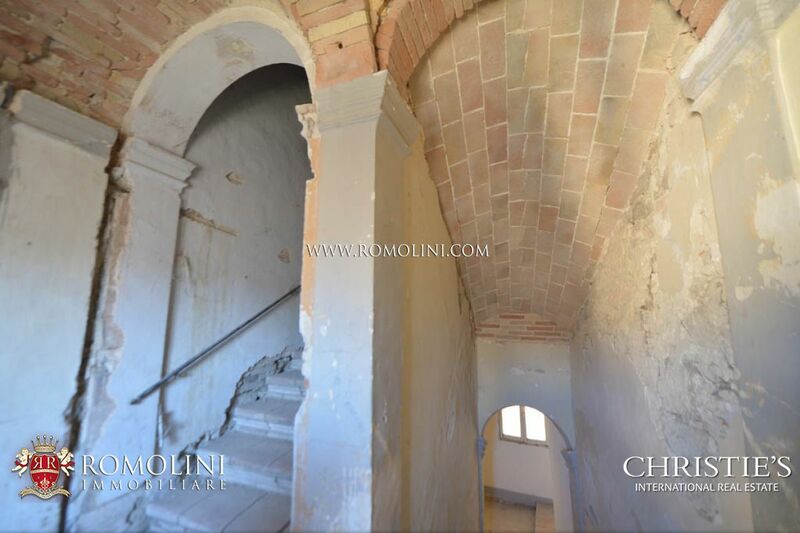 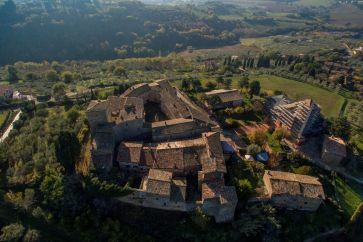 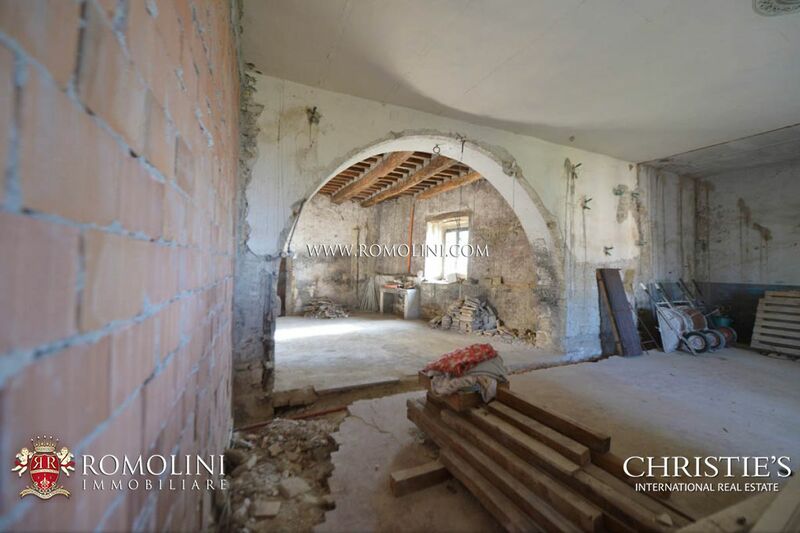 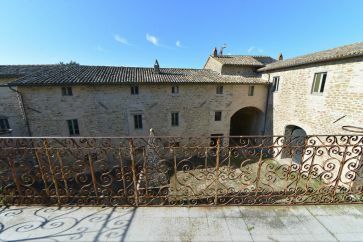 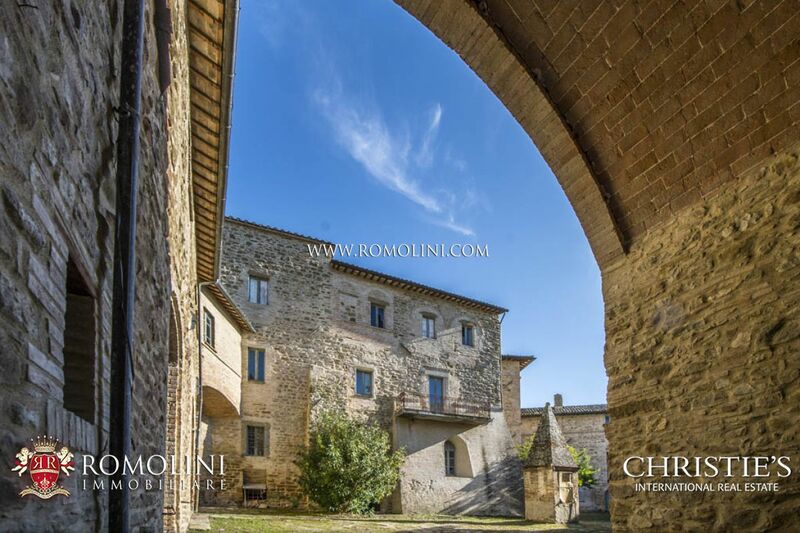 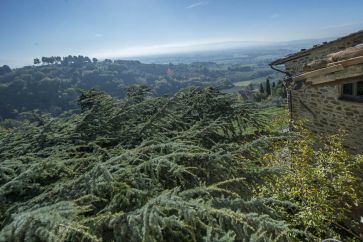 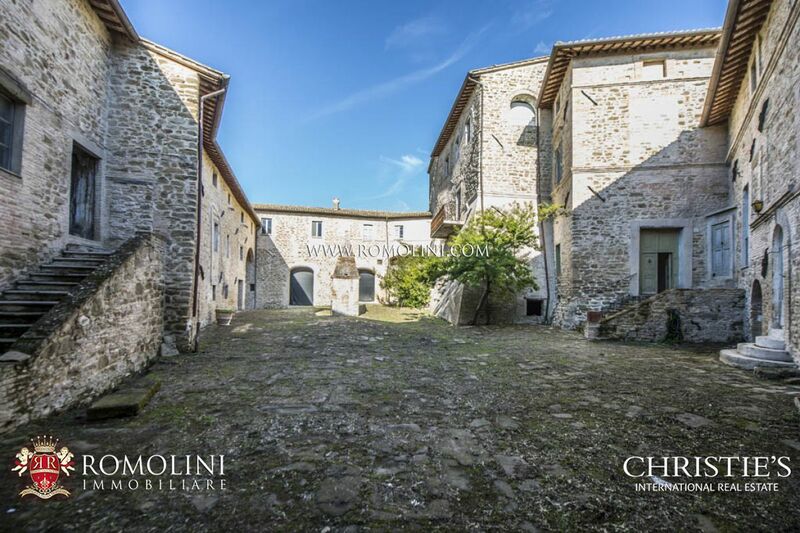 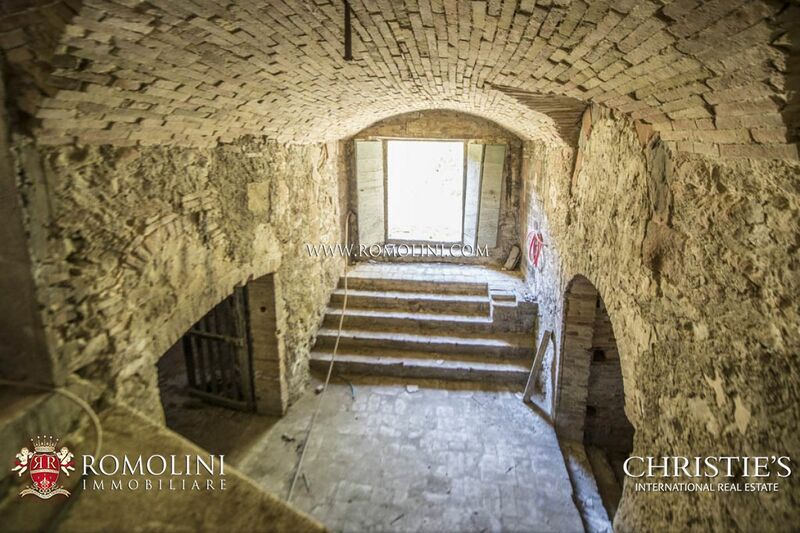 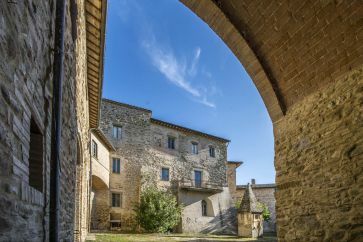 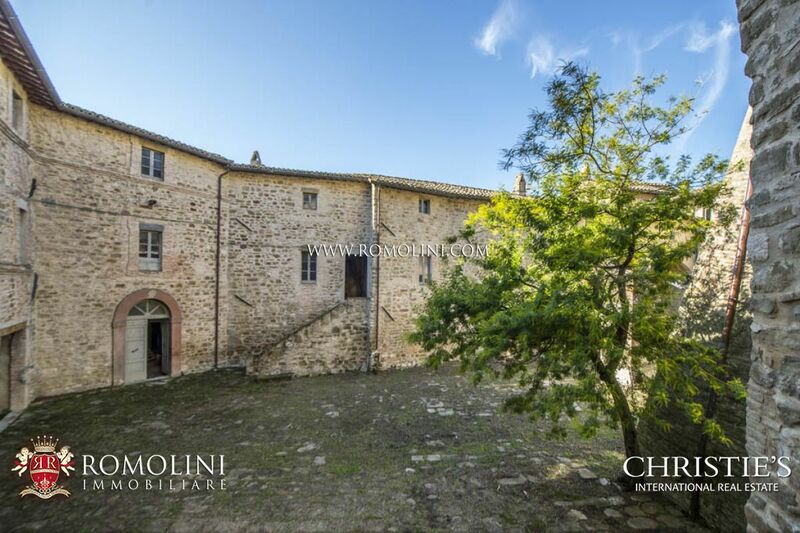 1278 "CASTLE FOR SALE IN UMBRIA "
"CASTLE FOR SALE IN UMBRIA "
Only a few km from Assisi, in a small medieval village, in a hilly and very panoramic position, at 334 m a.s.l., Medieval castle with internal courtyards and private olive grove for sale. 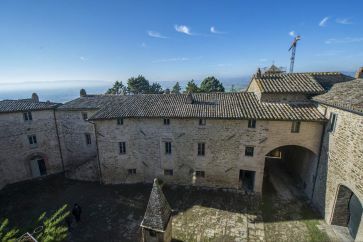 Assisi, birthplace of St. Francis and St. Clare, was added to the UNESCO World Heritage List in 2000. Assisi was originally inhabited by the Umbrians and later it became an important town of the Roman Empire. 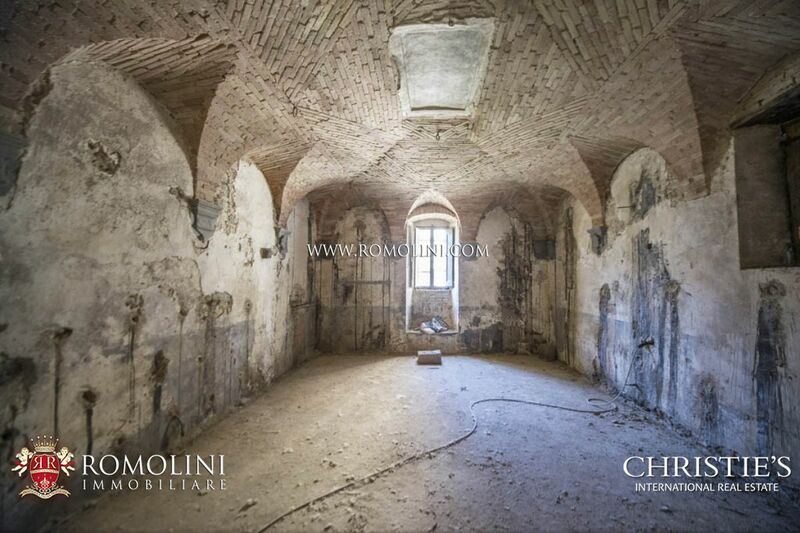 In the Basilica of St. Francis there are masterworks by Cimabue, Giotto, Lorenzetti and Simone Martini. 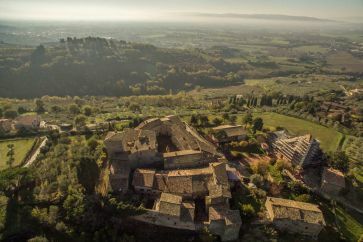 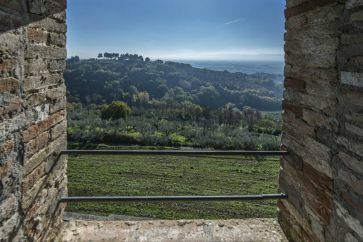 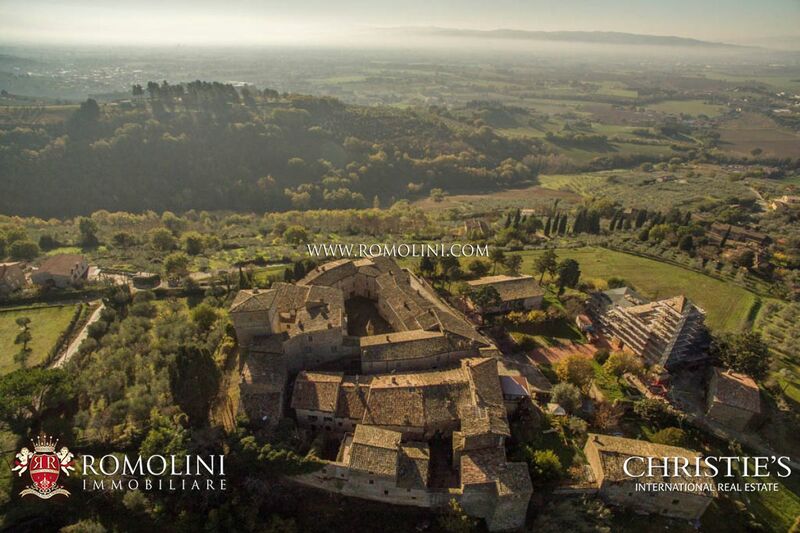 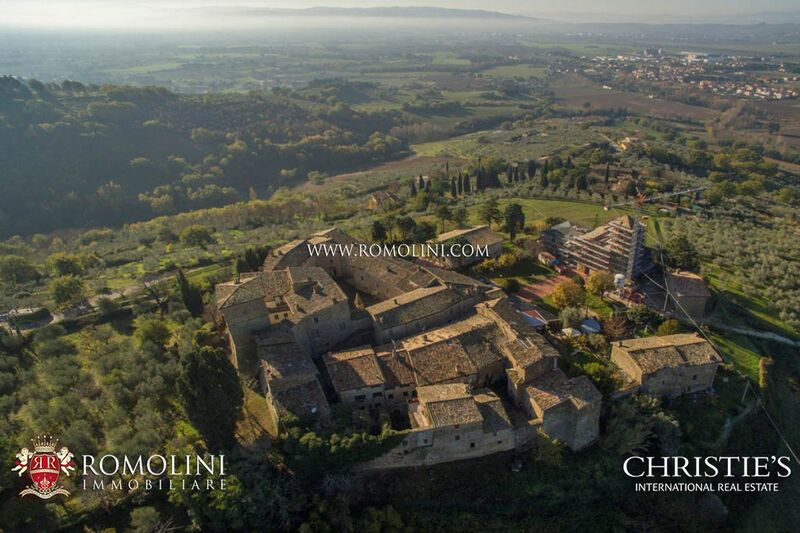 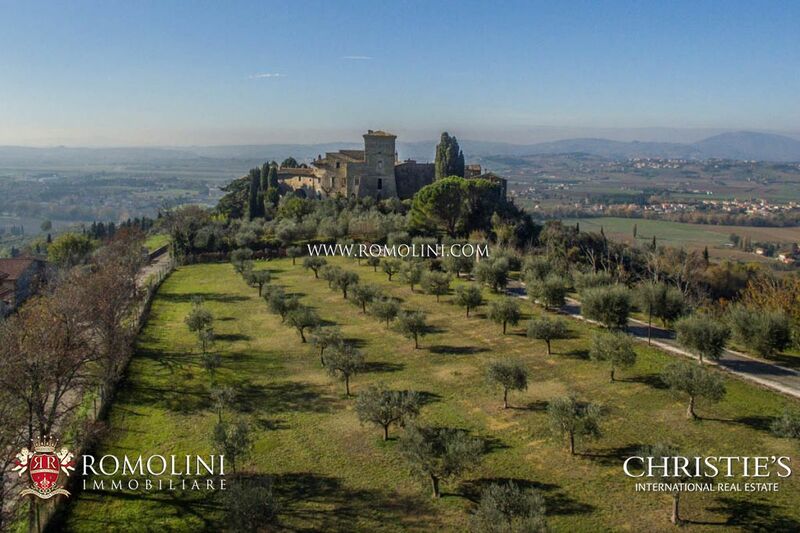 From the castle, placed on a strategic position, it is possible to reach the most beautiful towns and villages of Umbria in a short time: Perugia is 21 km away, Gubbio, Todi and Lake Trasimeno can be reached in about 40 minutes, Orvieto in one hour and fifty minutes. 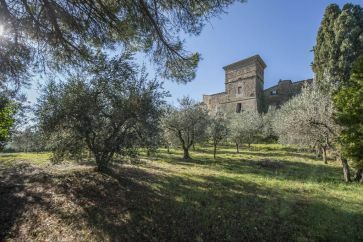 The Perugia Sant’Egidio airport is only 8 km away. 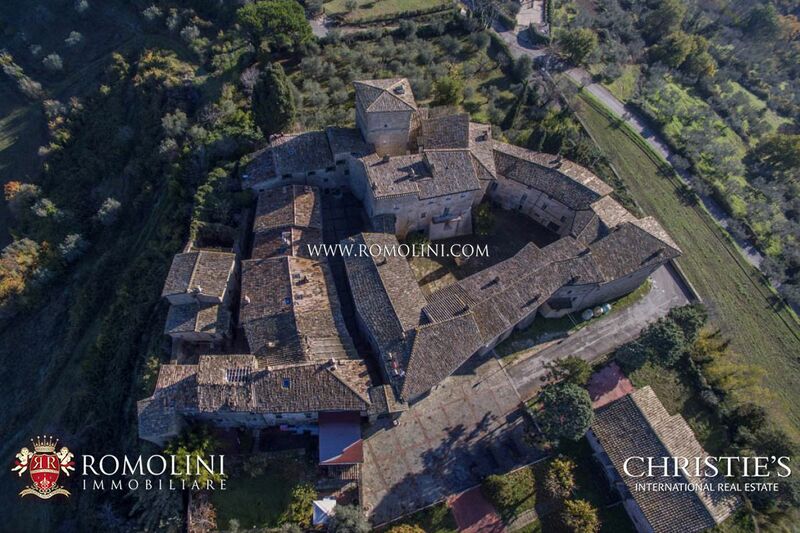 The circular-shaped property has a total surface of 2,500 square metres (or 26,911 square feet), divided as follows. 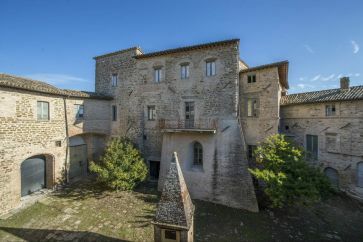 - The castle is laid out on five levels: a basement floor and four above-ground levels. 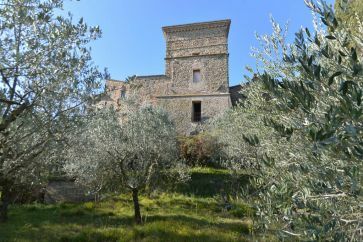 The castle house can be entered through a stone arch or from the back side through the olive grove and the garden. 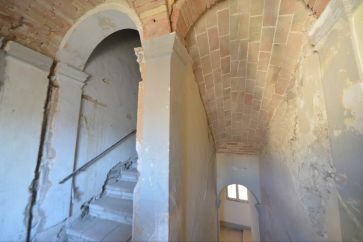 The castle was built using sandstone and river pebbles and it maintains stone fireplaces, frescoes, ceilings with wooden beams and brick arches. 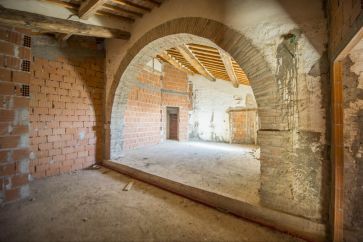 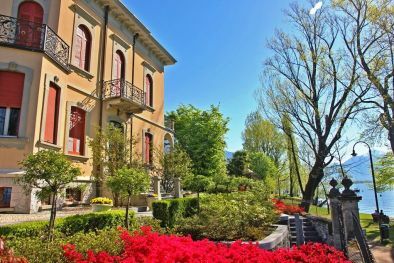 The property has undergone a careful structural restoration concerning roofs, attics and foundations, as well as seismic safety improvements. 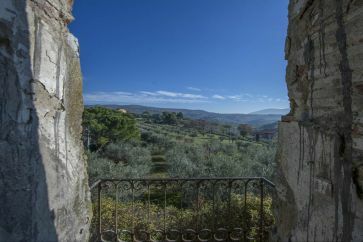 The property includes balconies, gardens and a private olive grove. 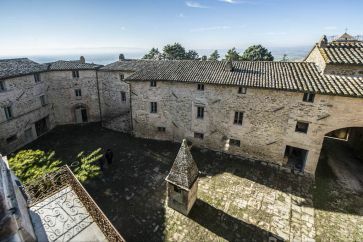 Inside the castle there are two courtyards, a big one and a small one. 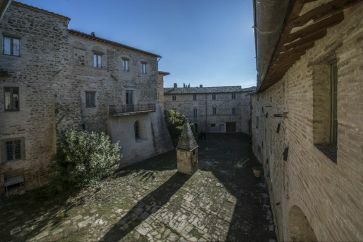 The castle looks onto the square of the village, where there is plenty of room at its disposition. On the back side of the property there are some exits in the garden. 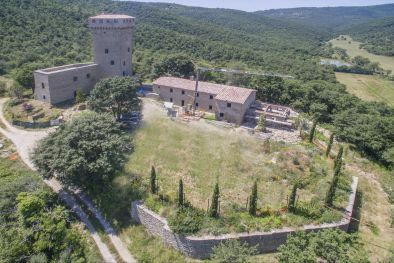 Thanks to its size and its condition, the castle has a lot of potential and is suitable for different uses. The castle is finished to a builder’s finish, therefore the new owners can finish it as they wish. 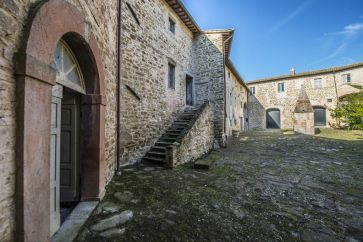 It would be perfect as an accommodation business, in particular as a boutique hotel. 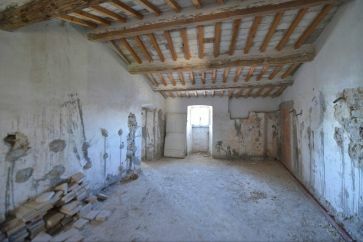 Moreover, as it can be internally divided into various units, the property could be converted e.g. 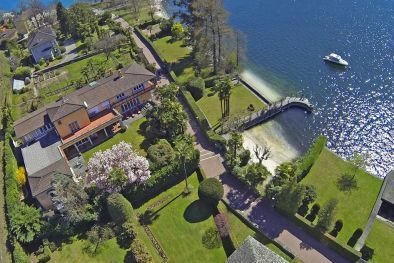 into the headquarters of an organization or in a representative residence.